As Imran Khan Roots for India-Pakistan Trade, How Can It Actually Begin? Political rivalry is costing the people of both countries around $35 billion in trade. Using a forgotten rule under international law, the two sides can work out a free trade agreement just for textiles and clothing sector to exploit the economies of scale. 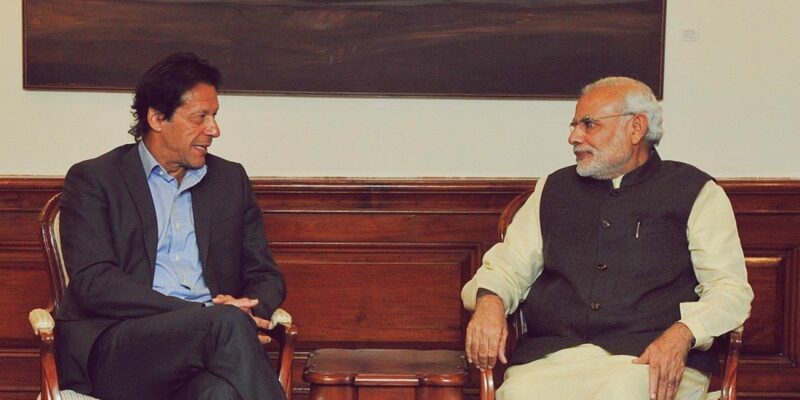 When Pakistan’s new government led by Prime Minister Imran Khan took charge in August 2018, he tweeted: “To move forward Pakistan and India must dialogue and resolve their conflicts incl[uding] Kashmir: The best way to alleviate poverty and uplift the people of the subcontinent is to resolve our differences through dialogue and start trading”. Only time will tell whether Khan will be able to walk his talk. However, the central idea of his assertion that international trade can play a very important role in building peace and lifting people out of poverty by creating economic opportunities is worth exploring. Boosting India-Pakistan trade is not a new idea. The Indian Council for Research on International Economic Relations (ICRIER) and several other researchers have been working on this issue for quite some time. Nonetheless, the fact that this was mentioned by the newly elected prime minister of Pakistan gives the issue the much needed political impetus. In view of this renewed focus on trade, there are three issues worth re-examining. One, the huge trade potential that exists between India and Pakistan and the economic benefits that can be reaped. Two, the premise that free trade between India and Pakistan can lead to greater peace. And three, attention must be focused on a forgotten trade rule under international law that both countries can use to enhance their bilateral trade. Bilateral trade between India and Pakistan today stands at a measly $2 billion. According to World Bank’s latest research, the potential of trade between the two countries is a mammoth $37 billion. In simpler terms, political rivalry between the two countries is causing a loss of $35 billion to the peace-loving people of the two countries. Once upon a time, India and Pakistan had very high level of bilateral trade. According to a US AID report, in 1948-1949, India imported 23.6% of total Pakistani exports and 50.6% of total Pakistan’s imports came from India. From such high levels of bilateral trade, as the relations between the two countries soured, bilateral trade started to decline, plunging to zero after the 1965 war. The trade relations between the two countries witnessed some forward movements in the late 1990s when India, due to WTO obligations, granted the MFN status to Pakistan although Pakistan is yet to reciprocate. From a paltry $0.34 million in 2003-04, India-Pakistan trade increased to $2.61 billion in 2015-16. However, it fell to $2.28 billion in 2016-17. This is just 0.35% of India’s total trade. The informal trade i.e. trade routed through third countries, between India and Pakistan is estimated to be around $ 4.71 billion, almost double the formal trade. The reasons for informal trade being higher than formal trade range from political tensions between the two countries to Pakistan maintaining a very high negative list – as part of this list, Pakistan forbids import of 1,209 items from India. The potential of boosting trade between the two countries is immense. As ICRIER’s research shows, trade between the two countries can be boosted towards mutual benefit in a number of sectors such as medical tourism, agricultural trade, textiles and clothing and the automobile sector. In addition to economic benefits, trade can be useful conduit to usher in peace in the region. For liberal internationalists, the inspiration about a positive correlation between trade and peace comes from the doux commerce (gentle commerce) thesis dating back to the 18th century age of enlightenment in Europe. One of the most influential proponents of this thesis, Montesquieu, argued that greater commerce between countries makes international relations peaceful. The core argument of many liberal thinkers has been that free trade fosters economic relations between countries and boosts ties of interdependence between the private sectors and the governments. This interdependence creates new constituencies which demand and lobby for peace as it serves their interests. The overall net-effect is fewer conflicts, thus more peaceful relations. Many quantitative empirical studies have tested this liberal peace hypothesis showing that increased bilateral trade reduces the possibility of interstate disputes. One recent study shows that not just increased bilateral trade interdependence but greater global trade openness also significantly promotes peace by reducing the probability of interstate conflicts. Specifically in the context of India-Pakistan relationship, researchers on both sides have long argued that increased bilateral trade between the two countries can yield a ‘peace dividend’. The need to engage with the Pakistani business community, along with other actors, as part of the larger political process to improve ties between the two countries has also been highlighted by former diplomats like Shivshankar Menon. Given the huge economic benefits and peace dividend of bilateral trade, let us look at the options India and Pakistan have under international law to maximise their bilateral trade. The most important provision here is Article XXIV of the General Agreement on Tariffs and Trade (GATT) – a multilateral trade treaty that came into force on 1 January 1948, later becoming part of the World Trade Organisation (WTO). Article XXIV of GATT allows WTO member countries to enter a customs union (CU) or enter a free trade area (FTA) subject to the following conditions. First, the countries desiring to enter into such an agreement need to notify to the WTO. Second, the countries need to eliminate barriers on “substantially all” trade between them. Third, the countries need to ensure their tariff barriers vis-à-vis third countries are not “on the whole higher or more restrictive” than what they were before the CU or FTA came into existence. In other words, despite GATT being a multilateral treaty, it permits countries to enter bilateral or regional trade agreements subject to the three conditions mentioned above. It is believed that fulfillment of these conditions will ensure that bilateral and regional trade agreements act as building blocks for deeper multilateral engagement. While the existence of Article XXIV on the GATT statute book is quite well known, what is not so well known is paragraph 11 of Article XXIV. While Article XXIV obligations apply to all trade agreements in goods entered by all WTO member countries, paragraph 11 of the same article exempts the application of these requirements to a trade deal that India and Pakistan may enter into. No other GATT/WTO member country enjoys this privilege. Taking into account the exceptional circumstances arising out of the establishment of India and Pakistan as independent States and recognising the fact that they have long constituted an economic unit, the contracting parties agree that the provisions of [GATT] shall not prevent the two countries from entering into special arrangements with respect to the trade between them, pending the establishment of their mutual trade relations on a definitive basis. This rule is followed by an accompanying interpretative note (Ad Article XXIV paragraph 11) that provides: “Measures adopted by India and Pakistan in order to carry out definitive trade arrangements between them, once they have been agreed upon, might depart from particular provisions of this Agreement, but these measures would in general be consistent with the objectives of the Agreement”. As Indian-American trade expert Raj Bhala has argued, a combined reading Article XXIV.11 and the interpretative note reveals two things. One, India and Pakistan can enter into special trading arrangements pending the establishment of mutual trade relations on a definitive basis, and that such an arrangement need not meet the requirements of the entire GATT including the three conditions of Article XXIV. Second, even after India and Pakistan agree upon definitive trade arrangements (such as entering into a CU or a FTA) such arrangements may depart from GATT rules including that of Article XXIV. The only requirement is that these definitive trade arrangements should in “general” be “consistent” with GATT’s objectives. In simpler terms, Article XXIV.11 gives a carte blanche to India and Pakistan as regards their trade relations is concerned. As evident from the language of Article XXIV.11, drafters of GATT were fully aware that the partition of British India into India and Pakistan was an “exceptional circumstance”. Indeed the bloody partition of the subcontinent led to a death of around a million people and displaced around 14 million people. As the British historian, Perry Anderson, said the partition of the sub-continent “has a good claim to be the most contemptible single act in the annals of the [British] empire”. It was evident to the writers of the GATT text, which included the British, that creation of India and Pakistan as two separate nations would disintegrate a huge economic unit. This, in turn, would compound the already exorbitant human costs and miseries inflicted by partition. Therefore, in order to let India and Pakistan continue to do business as the pre-partition days, GATT allowed the two countries to enter into any kind of trade arrangement without bothering about their GATT obligations. This munificence not extended to any other GATT member countries, allowed India and Pakistan to enter into a trade agreement even if that meant not including “substantially all” trade between them or imposing higher trade barriers on third countries. However, sadly and unfortunately, India and Pakistan, did never made use of this generous international legal rule, either immediately after the partition nor any time later in the last seven decades. A great historic opportunity has been squandered so far. The two sides should decouple their political differences from their trade relations. As Bhala argues, India and Pakistan, even today, can make full use of the generous trade rule given in Article XXIV.11 to strike a number of imaginative trade deals. For example, India and Pakistan could allow “complete free trade in agricultural and industrial goods and services across the Indian and Pakistani Punjab, which originate in either of the Punjabs”. Likewise, India and Pakistan could consider “complete free trade in all primary and processed agricultural goods that originate in India and Pakistan”. Another suitable candidate for free trade between India and Pakistan is the textile and the clothing sector. As research from ICRIER shows, “India is one of the world’s leading producers of man-made filaments and Pakistan’s competitive advantage lies in cotton production. This suggests some inherent complementarities that need to be capitalised”. Using Article XXIV.11, the two sides can work out a free trade agreement just for the textiles and clothing sector to exploit the economies of scale. None of these trade deals will breach the obligations India and Pakistan may owe to other WTO member countries. Several such possibilities are thinkable provided there is a political will, on both sides. The people of South Asia surely deserve a prosperous and a peaceful future. The onus is on the leadership of the two biggest countries in the region to deliver. While solving difficult political questions will undoubtedly take time, it won’t be a bad idea to start working towards creating an atmosphere where even difficult questions can be resolved. Increasing bilateral trade can be one such step towards creating such a positive atmosphere. 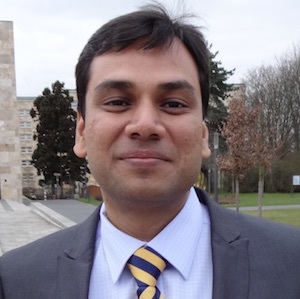 Prabhash Ranjan is an Assistant Professor of Law at the South Asian University. Views are personal.